How to get rid of unpleasant vaginal odor? When coming to terms with body odor from any aspect of the body, it is important understand what separates the norm from an unhealthy smell. Overly pungent smells can be an indication of illness. In this article we will cover sexual wellness tips related to vaginal odor and how to get rid of it. As mentioned above most women at some point in their life will have faced vaginal odor problems. Causes of vaginal odor may be from infections, bacterial growth, or poor hygiene. In the case of infections it is often accompanied by burning, itching or maybe even a fever. In this event it is beneficial to consult a doctor immediately. Below we will cover a few natural feminine odor remedies, DIY hacks, that can help you with any odor issues. Not just for great salad dressings, ACV has antiseptic and antibacterial properties as well. If you’re looking to soak in a bath, add about two cups of ACV into your bath tub and soak in it for about 20 to 30 minutes. In addition drink a glass with a spoonful of ACV in it daily as well. Here is where you can buy our top choice of ACV. Yogurt is another edible option to get rid of vaginal odor. Not only rich in calcium this probiotic is rich in healthy bacteria which fights off harmful bacteria causing the candida infection. This infection is most responsible for poor vaginal odor. Eat two cups daily of yogurt. Another oral way of treating vaginal odor is to consume garlic. Garlic is a natural antibacterial. You can consume this raw, in your cooking or use our choice supplement here. If garlic is a bit too strong for your tastes another easier option is amla fruit. We recommend eating them fresh. This oil has anti-fungal and antiseptic properties. Drop three drops of this Tea Tree Oil in a cup of water and rinse the affected area daily. Neem is another antifungal, antibacterial, and antiviral powerhouse. Boil the powder or fresh leaves in water. Seep, strain and allow to cool. Then apply the solution to the affected area daily until the odor or infection subsides. 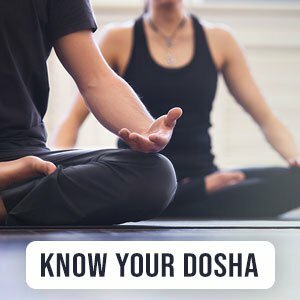 In most cases vaginal odor will pass, but it is always to look after your sexual well being. Speak to our doctors and try these home remedies to get rid of vaginal odor issues.